Dean Lazore, 45, of Highway KK, town of Port Washington died Wednesday, December 17, 2008 at his residence. He was born September 20, 1963 to John L. Lazore, Sr. and Nancy Berandt and raised in Saukville. Over the years he worked for Jadair in Port Washington and Rods and Whalers in Saukville. When help was needed he worked at Saukville Meats. 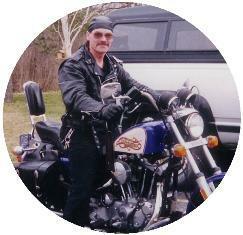 Dean loved Harley Davidson’s and riding. He is survived by his brothers John “Buck” (Lisa) Lazore of Fredonia and Wally Lazore of Belgium, sister Joanne Lazore and his mother Nancy Figge, both of Tomahawk, Wisconsin. He is preceded in death by his father. Dean was cremated and the are no services planned.